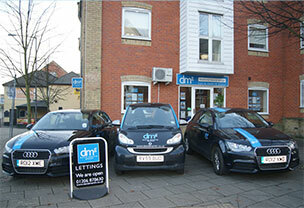 David Martin Group represents the name in Colchester for residential sales and lettings since 1995. 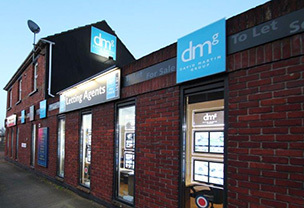 By concentrating exclusively on Colchester and surrounding village property, David Martin Estate Agents (DMG) have become one of the area’s leading independent specialist estate agencies. Since we were established in 1995, our business has expanded to include: residential sales and lettings; new developments; property investment and development; property management; surveying; conveyancing; mortgage/financial services and general professional advice. As a result, we have earned an enviable reputation for our genuine resolve to meeting our numerous clients' needs. Whether landlord or tenant, vendor or purchaser. Our expertise has been publicly acknowledged by way of our clients feedback and recommendation for excellence. We have a network of offices in key locations in and around Colchester these were opened specifically to meet proven demand for top quality, efficient and professional service in all areas. Each office is linked by a sophisticated computer system which keeps every member of our staff up-to-date with developments on each transaction. Our web site is kept up-to-date and displays pictures, floor plans and location maps as well as general information and advice. Regular training ensures that we are not only informed, but ahead of market developments. It is the principle aim of DMG to provide an exemplary service. Dedication, skill and hard work go hand in hand with an ever increasing knowledge and understanding of all aspects of the property market. We are committed to professionalism and efficiency, with close, personal attention to the individual requirements of all our clients. Staff work together as a team to co-ordinate with all departments to ensure that each client maximises their property investment. David Martin Group is a respected agent with over 200 years combined experience in selling residential property in the Colchester Area. Are independent which means you get a service that’s harder working and more personal. Has a Director at front of sales in each office ensuring your property is being professionally marketed for maximum exposure. Has extremely high staff retention which means you should see a familiar face every time you visit one of our offices. Recognises the potential of internet advertising through davidmartin.co.uk, rightmove.co.uk and 5 other well known property portals. Guarantees regular contact to give feedback on viewings and explain future marketing proposals. Has dedicated departments for residential sales, Land & New Homes, residential lettings and property management. Are fully conversant with the Property Misdescriptions Act and is updated with changes in legislation ensuring that your sale runs to procedure. Are also members of OFT and PROPERTY OMBUDSMAN. Have a prolific telesales team with email and sms available to instantly dispatch new properties and colour details to waiting buyers. 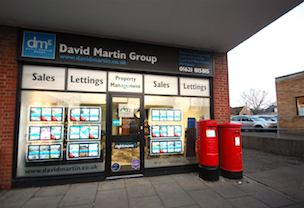 David Martin Group pride themselves on constant customer feedback ensuring your transaction is completed smoothly.